I got an email from a website called CityBlink this morning. They said I could use any of their videos I liked on this website. I was just about to hit the delete key as I do on most unsolicited email but thought I’d take a quick peek at who this bunch were. CityBlink provide short 1 minute videos of Barcelona that are nicely edited and although they are presumably paid for producing the videos of these locations (at least the hotels and apartments surely) there are a broad range of topics. With videos covering sights, art & culture, hotels, apartments, restaurants, bars & cafés and shopping, these videos are a great way to check out the city. Personally I’d like to see content from some slightly quirkier places and not so many upmarket establishments. But I guess they’re the ones that pay. But whether you’re visiting the city for the first time, you’ve lived here for years but need inspiration, or you have guests coming and you’d rather them tell you what they’d like to see. 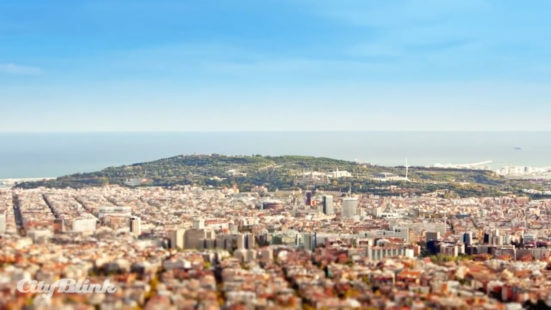 The Barcelona videos on CityBlink provide a snapshot of the city. CityBlink is the very first online city portal based on bespoke HD video content. We give you the perfect glimpse of what the city has to offer. Barcelona is our starting point, with all of the world’s great cities to be blinked soon! I wish them luck with their venture in the future. Let’s hope the content gets better and better. Here’s a selection of videos that caught my eye. There are 66 videos to choose from at the time of writing. You can find CityBlink at cityblink.com or visit their YouTube page. I’d stick to the YouTube page as annoyingly a lot of what is listed on the website doesn’t actually have video content yet, just photos. After clicking on a few of those you become pretty frustrated. You can also catch them on Twitter @CityBlink where I guess you will be informed about new content. What do you think about CityBlink? Useful? Thanks for checking out our videos. Our project is still a work-in-progress regarding our content creation – we really want to get more places filmed and cover more of the special places that make the city what it is. We always love to hear about the quirkier side of things, and look forward to you and your reader’s recommendations! Thanks again, and feel free to use our videos whenever you need to! Hi Seb, thanks for getting in touch. I totally understand the approach you have to take. I hope the site goes from strength to strength.